If you’re wondering where to go in Las Vegas this upcoming weekend, it’s time to ask the million dollar question: the Las Vegas Strip or DTLV? Both sections of the city are great Las Vegas hotspots, but it’s really all about what you’re into, rather than what’s better. But Fremont Street is more popular than ever. Here are the reasons we think so. Yes, this is the first one the list for a reason. Most people are worried about money when visiting Las Vegas. 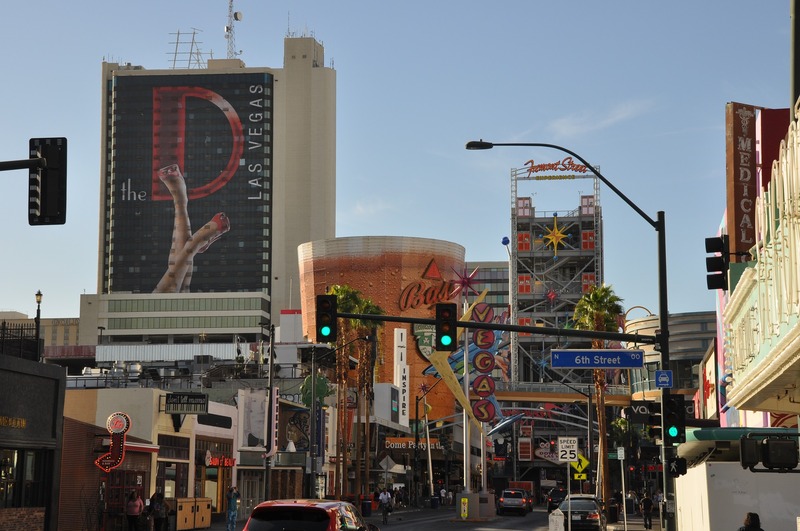 Lucky for you, Downtown Las Vegas, (more affectionately known as DTLV), is on average half the price of the Strip. Fremont Street offers fun and exciting establishments with decently priced cocktails and plenty of happy hour deals. Out of all the Sin City hotspots, none has more history than DTLV. The Mob Museum details what it was like when the mob ran things around Las Vegas. Atomic Liquors is also worth checking out, being the oldest free-standing bar in Las Vegas. Visiting Fremont street allows you to take in the old Vegas and the new Vegas. The Strip has its pricey and glamorous clubs, but DTLV has its unique, inspired bars and speakeasies. A DTLV speakeasy has a bit more character and affordable drink options than a standard bar on the Strip, with more original concepts and fun environments. Without a doubt, the downtown area has the best drinks in Las Vegas. This Las Vegas hotspot has one special thing the Strip doesn’t have: the Vegas Pub Crawler. Our Pub Crawler is a totally unique way to bar hop, with bike pedals and a group of friends. Schedule your cruise down Fremont street with the Vegas Pub Crawler.